Apple’s iPhone has become an essential aid to get you through a hectic day. For example, Siri will answer your questions; the handset will notify you of any incoming communication you wish; Waze will get you to work. Plus, if you’re forgetful, there’s a huge array of apps out there that can help. As such, this article is going to look at five of the best iPhone reminder apps. Our list of the best Android Reminder Apps can be found at TectoGizmo. Reminders on the iOS platform can be used to help those who are concerned about forgetting something important. However, they can be a lifeline for those who suffer from absent-mindedness. Some of the situations they may prove to be useful in include the following: the creation of shopping lists, appointment reminders with your doctor, family members or friend’s birthdays. In fact, they are useful for anything you want to keep track of or be reminded about. Here’s a selection of the top four. 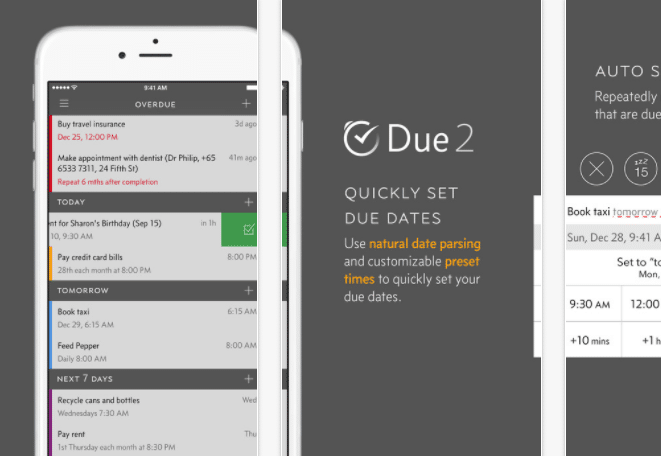 As far as iPhone reminder apps go, DUE is one of the best and most overall highly rated. Additionally, if you’re looking for something that’s overly complicated, but has all the features required, and something that can be ready and working for you within a few taps, DUE is the app for you. You won’t find an overly cumbersome login or a sign-up process; no account is needed to use it. As for reminder features, there are plenty that include date and time, countdown timers, schedule, email, shopping, backup/restore, and many more useful reminders. Some will integrate with third-party applications to provide even more helpful features and information. You can find out more about DUE via the App Store here. Whether you’re forgetful or not, there are some who prefer to have as much detail as possible in front of them at one time. That’s where the next of our iPhone reminder apps comes in. Called OmniFocus 2, it assumes you’re using it to get things done from the first time you launch it. So, if you subscribe to the Getting Things Done method of managing your daily schedule, it is the perfect application. Regarding features, it’s possibly one of the richest and includes list-making for all your daily chores and longer-lasting reminders. As for the detail, each reminder can be tagged with time, location, and context. Apparently, this is to help you instantly remember the what, why, and where. Additionally, audio and image attachments can be included to anything, to help you remember. And finally, notifications, while not logged into OmniFocus 2, will appear on your iPhone, keeping you up to date with what’s due. If you want to find out more about this app, you can do so here. If you’re forever creating lists, and then misplacing or forgetting them, this next app is the ultimate list maker. 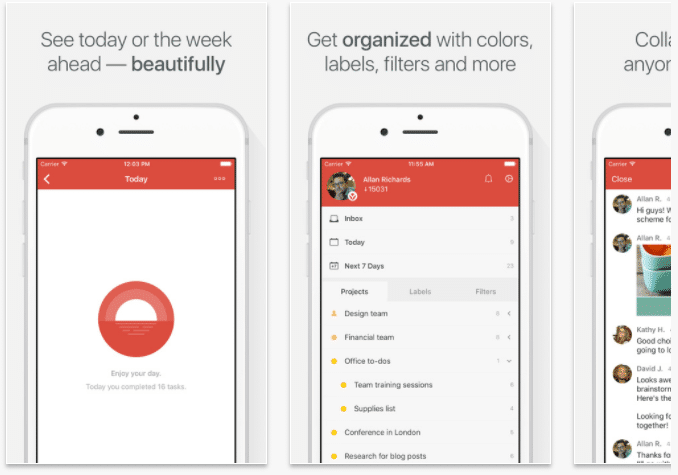 Called Todoist, it’s one of the most, perfect iPhone reminder apps for the job, as it’s fully customizable. It has a set of robust features, such as a task box, due today, project lists, items to remember, and more. 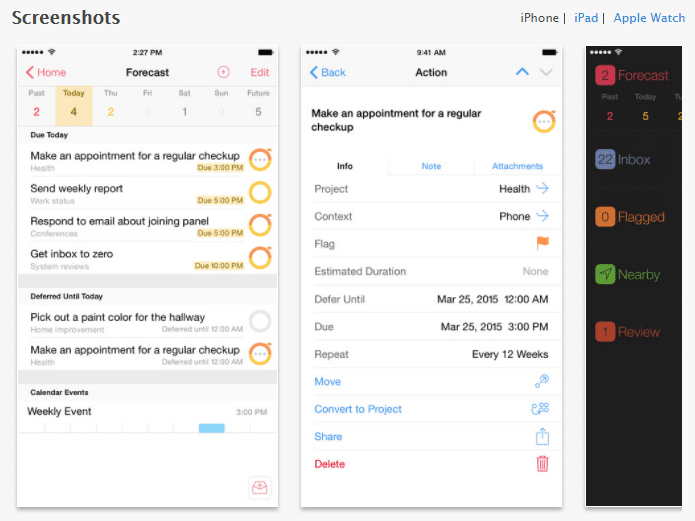 In fact, if you’re looking into reminder apps for work, it will alert you to set tasks for others, check up on them. Plus, it will provide you with the all-important reminder to contact people at certain times. Furthermore, there’s the ability to connect to some third-party applications, such as Google Calendar, IFTTT, Evernote, and more. However, if this isn’t enough, there’s always the option to upgrade to the premium version of Todoist. With it, you get premium features, which include labels, tags, filters, notes, and more. Additionally, you can upload audio and images via cloud storage services, such as Dropbox, plus connect your reminders and to-do lists to your calendar app. Interested in taking a look at the free version of Todoist? You can do so, here. Having tried other iPhone reminder apps, if you are left feeling a little let-down because they made your schedule feel cluttered, Fantastical 2 is a premium application, with the features and design to match. Plus, it combines both your calendar and reminders in one easy-to-access-and-read location. Additionally, there’s natural language support and a TextExpander, plus it’s perfect for adding/editing lists, reminders, events and more. 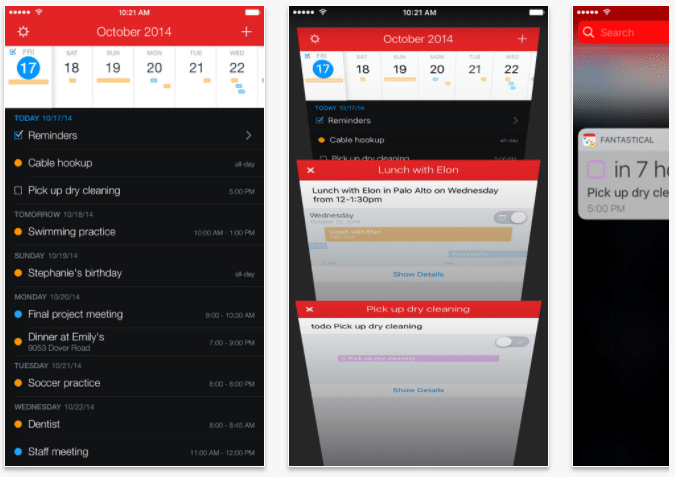 When it comes to reminders, Fantastical 2 sets itself apart from other apps, due to its intuitiveness. Meaning, it’s fast and simple but powerful, which can mainly be put down to its design. One feature that is unique is the week ticker. It makes it easy to visualize your week ahead, and it can even be extended into a month view. Plus, it supports almost any calendar app you can find on iOS. Fantastical 2 is probably one of the ultimate in iPhone reminder apps, mainly due to its ease of use for all ages, as well as for people with varying degrees of busy-ness and forgetfulness. Depending on where you are in the world, there may be a charge for this app. You can find out more here. 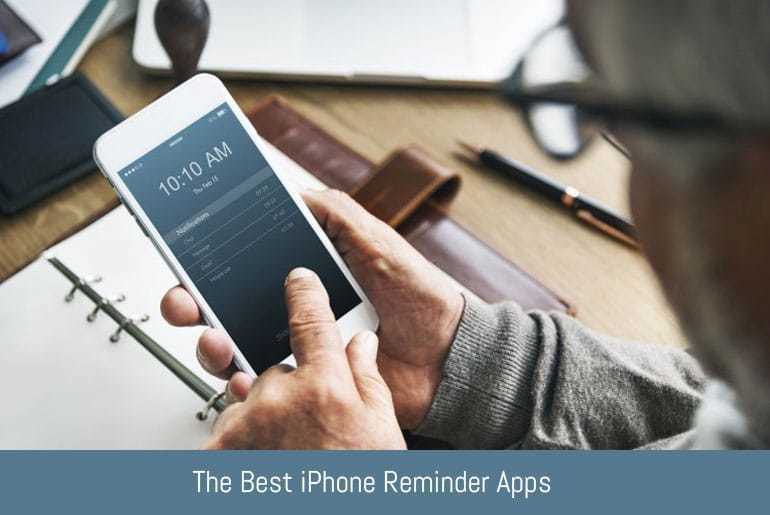 There you have them: four of the best and most popular iPhone reminder apps available today. All four have been recently updated and are compatible with iOS 10. As for iPhone users, using devices with older versions of the firmware, please check the information supplied with each app before deciding to install on your handset. Darren hails from the UK and is a lover of all things technology. He's been writing about it for over 15-years and cannot foresee a day in which he will become tired of doing so.